Congratulations to Isla Brand in 8ABI who has in the last few weeks won a gold medal at the South West Synchronised Swimming competition and also a Silver at the National Combination Cup. The Nationals saw 27 clubs and 70 teams in competition. Well done Isla a fantastic achievement! Another successful Exchange with the Goetheschule has just taken place. The Hannover students have spent just over a week with us in Bristol. This Exchange is the result of much hard work and planning and so a special thank you to Mrs Heiberg and Mr Kämmerer for their meticulous and excellent organisation and the huge amount of effort that they have put in to make it so successful. Click here for more info and images. Click here to see updated Communications Policy. The policy was first put in place in 2015 and is the result of collaborative work with the Co-op Parent Constituency. We are now planning the Year 7 Adventure Week, which will take place from 2-6 July 2018. We will be staying at Croft Farm Waterpark in Gloucestershire, and taking part in a range of water based and land based activities led by specialist instructors for example; kayaking, sailing, archery, fencing, buggy building and high ropes. Full information will be sent out next week, and we will be asking for a £50 deposit to be paid to secure your child's place no later than Friday 21 October. An initial assessment will take place on Tuesday 10 October (French side) and Wednesday 11 October (German side). Students will be sitting an initial assessment in maths lessons to help place students into the teaching group best suited to their learning needs. They will be placed into new teaching groups when they return after half term. Students will need to bring all the usual maths equipment including a calculator. They have been given a basic revision list which has been stuck into their books. The test contains content that they have been taught during Key Stage 2. These will be in the week beginning Monday 6 November. Individual teachers will shortly provide their classes with exact dates. The content of the assessment is detailed within the revision list which all students have received and stuck into their book. Students are expected to be working through their revision list alongside their textbook to prepare for the assessment. The usual expectations regarding arriving fully equipped apply during the assessment period. The event takes place at Cotham and Redland Green Schools on alternate years. This year’s event will take place at Redland Green School. Click here to visit the NBP16 Centre website. This publication lists the subjects and courses on offer at all of Bristol’s sixth-forms, colleges and training providers for September 2018 entry, is available here: bristol.gov.uk/post16directory. It also lists open evenings that are being held this Autumn. What are your options (at 14,16 and 18)? Rolls-Royce are holding an open evening on Wednesday 1 November 18.00-20.00, (location: Horizon Hall, BS34 6QA) where you can find out about the different apprenticeships they are offering to 16-18 year old school leavers in Engineering, Business and Operations, some of which include full funding of a degree. More details at careers.rolls-royce.co.uk/apprenticeships and link to register: http://tinyurl.com/yb8jp8ua. Elections have been held to find our Student Vice President. Ezzat Elnagmi (Year 12) was victorious and is joined by Romi Bhakerd (Year 12) as Leader of Communications and Outreach. The Student Leadership Team is now at full complement and its members look forward to working together to promote positive development at Post 16. Aspiring Year 13 Medicine students Muna Jama, Ardo Hassan and Maria Imran have been accepted onto the Bristol Scholars Programme. This scheme recognises students whose pathways to higher education have not always been straightforward, offering them a guaranteed interview. If successful, they will receive an offer at a lower level than other students, along with bespoke tutoring and a bursary to support their learning. Well done Muna, Ardo and Maria! Our KS5 Computer Science students are now into the early stages of their Year 13 programming projects. We are looking for mentors with programming experience to the support students in the programming and development of these projects. The students are doing a range of projects from programming drones to coding a strategy simulator for F1 to programming an online stock control system for a large department store. Being a mentor would involve meeting up with the student after school at Cotham to assist them with any programming problems they are having. These meetings could happen fortnightly or less frequently depending on the needs of the student. 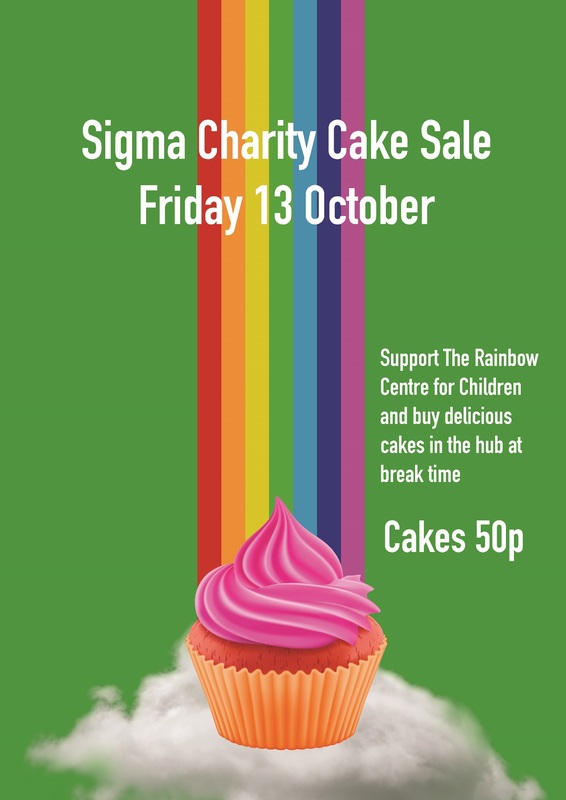 In the Hub at Break Time on Friday 13 October to raise money for The Rainbow Centre for Children, cakes 50p. Click here to view the poster. Congratulations to 7BAK the winners of this terms ‘Golden Ticket’. They all enjoyed their winning treat of hot chocolate and doughnuts. Click here for image. U12 and U14 girls spaces available for Cotham students. Mrs Ferris is happy to meet students at City Academy (at 5.30) on Tuesday 10 October to support any girls who would like to start the club. Please contact Mrs Ferris with any queries. Lesson begin for Year 7 students on Monday 9 October. Please be aware that you must pay for the terms lessons in advance via your WisePay accounts, which will also register will also register your child's participation in this activity. There will be a meeting at breaktime on Monday 9 October in the Music Department in E113 to organise the bands in advance.. There have unfortunately been a large number of Year 7 students who were unable to attend the recent taster session. We will aim to organise one more. Watch this space! If there are any students who have still not had contact from BPM or an instrumental teacher regarding tuition this term, please contact Mr Campbell know and he will look into this for you. Art WOW this week goes to Tripp Crossland, 9SME with his incredibly skilled 2-point perspective drawing. Click here to view Tripp’s work. This week we took our Year 12 Art and Photography students to the Docks where they sketched, snapped and explored. Students were given photography and drawing challenges to support their work in class. Click here to view images. Ms Anne Gallien, a staff member at Cotham School, has been running a very successful Friday lunchtime yoga meditation club for students over the last two terms. The mental health of our students is extremely important to us and we have found the sessions to be very beneficial for improving the mental, physical and social well-being of our students. Please click here to view the recent Bishopston Voice article featuring Anne and some very positive student feedback, entitled ‘Yoga - Helping teens tackle stress’. On Tuesday 10 October 2017 between 1.10 and 1.35pm Ms Gallien is offering students a 30 minute yoga relaxation session in the Main Hall as part of the World Mental Health Day. Free interactive theatre performance for schools (Monday 16 October). Aimed at years 7,8 and 9 the play explores the life and work of Ada Lovelace through interactive theatre. Click here for more info. 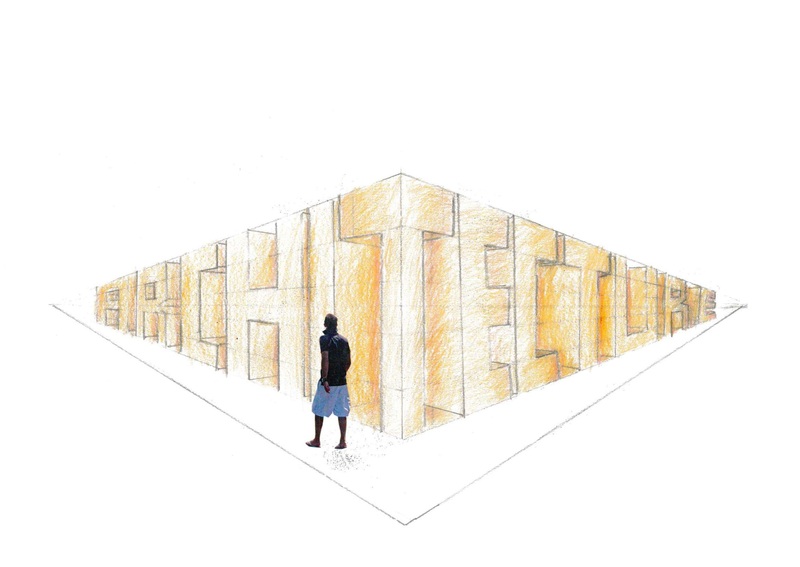 This one-day hackathon will explore how a human-centred design approach might inform ideas for improving cities. Students will identify examples of emerging technology that could be used within the solutions they propose. The aim of the hackathon is to get the views of young people on the vision and planning for the future of Bristol. Click http://www.bbc.co.uk/academy/en/articles/art20170908110815642 for more info. Mosaic Singers are a small friendly singing group who meet in Stoke Bishop on a Tuesday evening 7.30 to 9.30pm. We sing a variety of numbers from modern pop, golden oldies, songs from musicals and even some classical pieces - but nothing too heavy! We are looking for new recruits - no audition required! Please contact David Vicary on 07973 460994 for further information. Please click here to view the latest newsletter from East Group Libraries. Please click here for details of a great series of events, films and talks at Clifton Library organised by the Friends. Tickets available at the Library or from the Friends of Clifton Library. 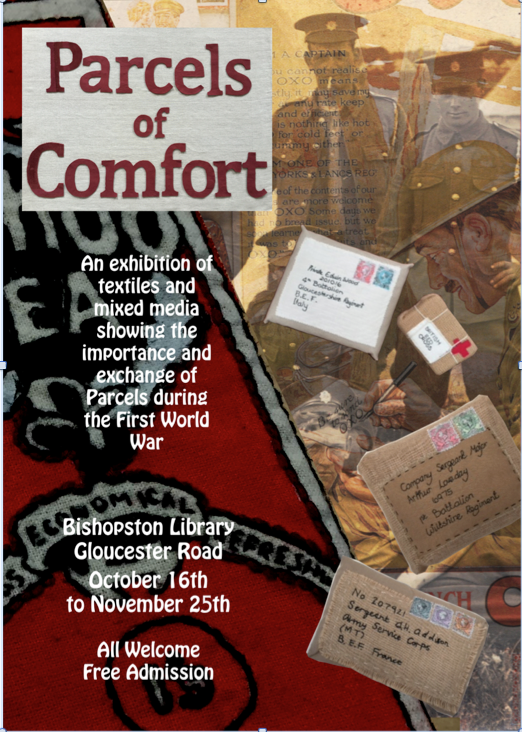 An exhibition of textiles and mixed media showing the importance and exchange of parcels during the first world war is being held at Bishopston Library from 16 October - 25 November. All welcome, free admission. Click here to view the poster. Join a panel of interesting people as they nominate their choice of book on a particular theme + a ‘wild card’. The events take place on Tuesday 3 and Tuesday 17 October. Click here for more info. Be part of the Bristol Clean Streets Campaign. Building on the success of the Great Bristol Spring Clean, the Autumn Litter Blitz will be taking place 16 – 29 October 2017. This event, organised by Bristol Clean Streets encourages you to get together with family, friends and neighbours during this period and make a difference in your local community by doing a litter pick big or small, or something else to spruce up your area. Bristol Waste Company have all the things you will need to do one safely. They can loan you litter pickers, bags, high visibility jackets and will even arrange to collect the waste you collect for free. Please note that Litter picking kits are loaned on a first come first served basis. This is the online system by which all appointments must be booked for Parents’ Evenings. Click here to view the Parent's’ Guide to PES. Click here to access PES. Room A118 is a supervised space available to the school community every day between 1.10pm and 1.30pm for quiet prayer or reflection.